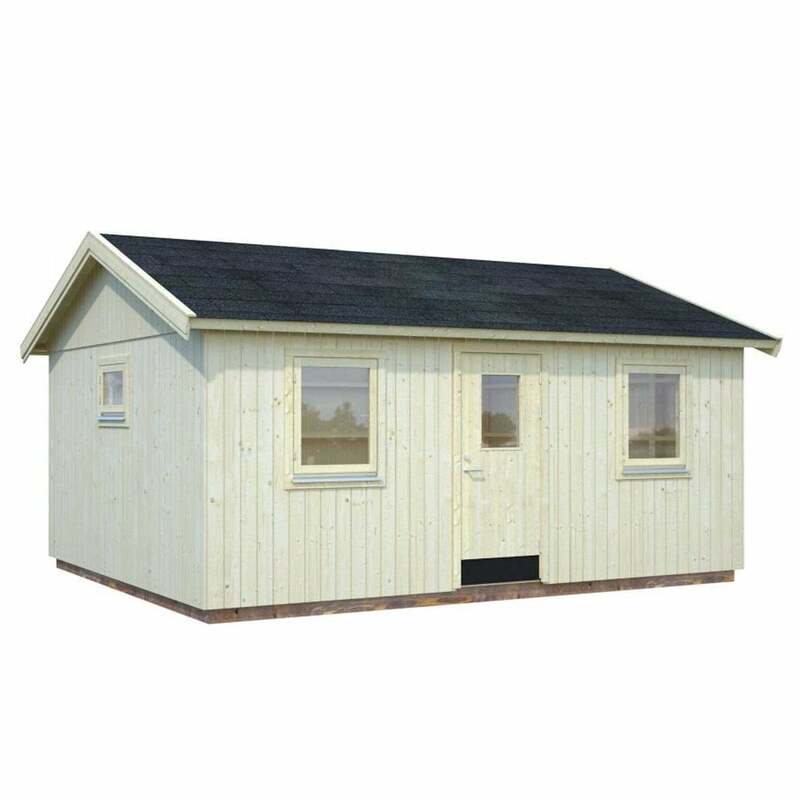 Palmako Pernilla 21.5m² The Palmako Pernilla is a wonderful Nordic House design with a traditional apex roof, which has been practically design to suit your needs whether it be a garden office, hobby room or gym. The 21.5m² Log Cabin includes a single door with a cylinder locking mechanism, two large windows and a smaller window on the gable end, all are double glazed and provides ample ventilation and natural light into the interior. The building is quick and easy to build with a sectional style construction with ready-made wall elements with wind protection plastic. The Pernilla is crafted with fine sawn Nordic Spruce and comes with pressure treated foundation beams and solid 19mm roof and floor boards for a robust finish.